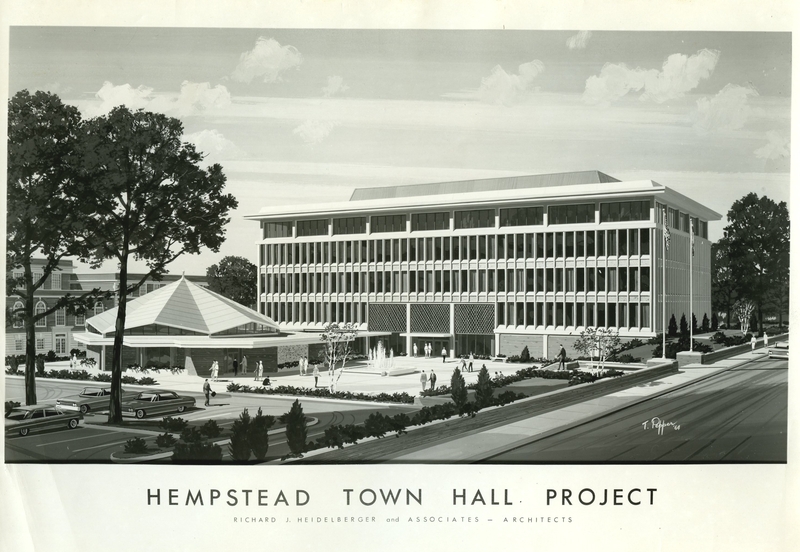 Architectural rendering of Hempstead Town Hall Project. The rendering was created for Richard J. Heidelberger and Associates - Architects, by T. Pepper. 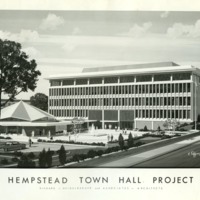 “Architectural rendering of Hempstead Town Hall Project,” Hofstra University Library Special Collections: Digital Collections, accessed April 25, 2019, https://omeka.hofstra.edu/items/show/649.